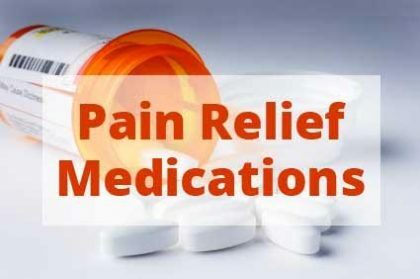 The U.S. Food and Drug Administration (FDA) approved sufentanil, DSUVIA™ indicated for the management of acute pain in adults that is severe enough to require an opioid analgesic in certified medically supervised healthcare settings, announced AcelRx Pharmaceuticals. DSUVIA bagged the FDA approval after a randomized, double-blind, placebo-controlled clinical study which demonstrated a statistically greater summed pain intensity difference from baseline over the first 12 hours of the study (SPID12) compared to placebo. The pain intensity difference from baseline was superior to that of the placebo group within 15 minutes and median meaningful pain relief occurred following a single dose. The single-strength tablet and single-unit packaging are designed to mitigate the possibility of dosing errors, misuse, and diversion. The efficacy and safety of DSUVIAwas evaluated in one randomized, double-blind, placebo-controlled trial which enrolled 161 patients (age 18 to 69 years) with acute postoperative pain (pain intensity of ≥ 4 on a 0-10 numeric rating scale) after abdominal surgery (studied up to 48 hours). Patients were dosed with DSUVIA 30 mcg or placebo as needed with a minimum of 60 minutes between doses. Morphine sulfate 1 mg IV was available as rescue medication. Patients using DSUVIA had a statistically significantly greater SPID12 than patients using the placebo. Approximately 22% of patients in the DSUVIA group and 65% of patients in the placebo group took rescue medication within the first 12 hours of the treatment phase. The sublingual administration makes DSUVIA an option for patients with nothing by mouth (NPO) status and patients with difficult IV access (obese, elderly, burn or needle-phobic patients). Avoiding an IV has the potential to offer efficiency improvements in healthcare settings and improve the patient experience.